In 2010, Vancouver hosted the Winter Olympics. Prior to the games, a torch relay was held across Canada to signify the start of the Olympics Games. 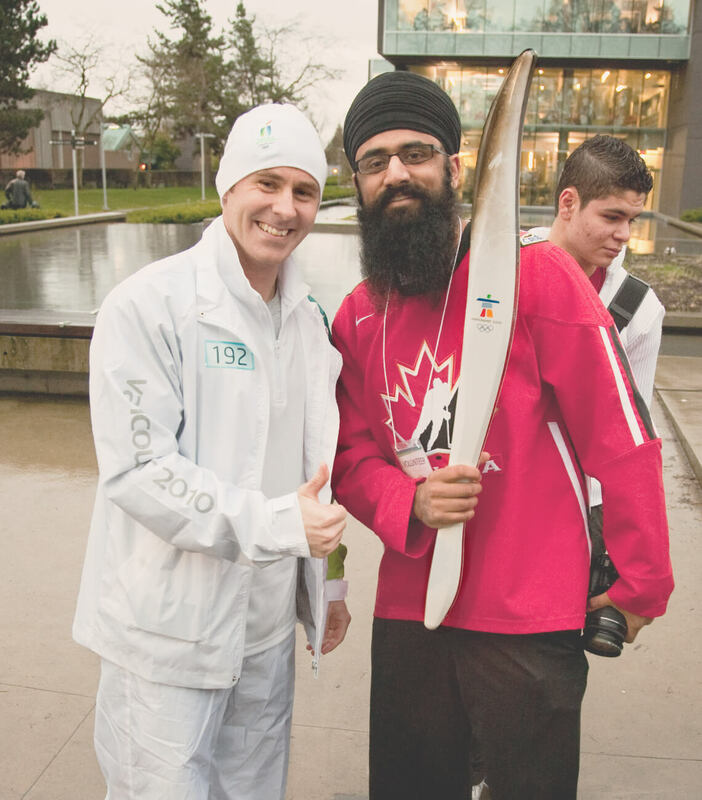 The torch was carried across the country and reached the stadium in Vancouver for the Opening Ceremony. 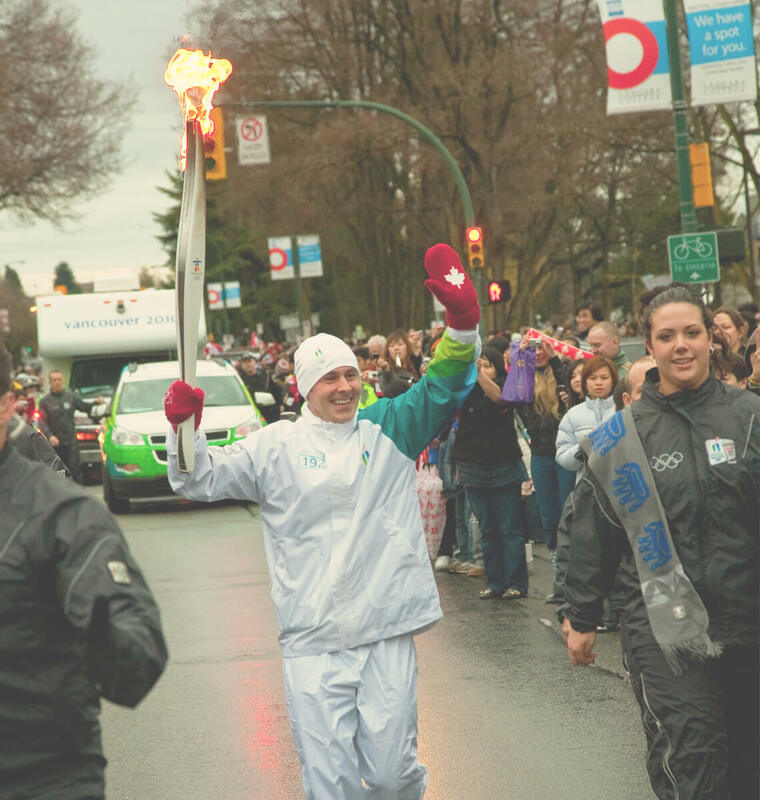 The 2010 Games had an estimated 12,000 torchbearers and Langara College was fortunate to have a former student athlete, Evan Eichler, carry the torch through the Langara community. 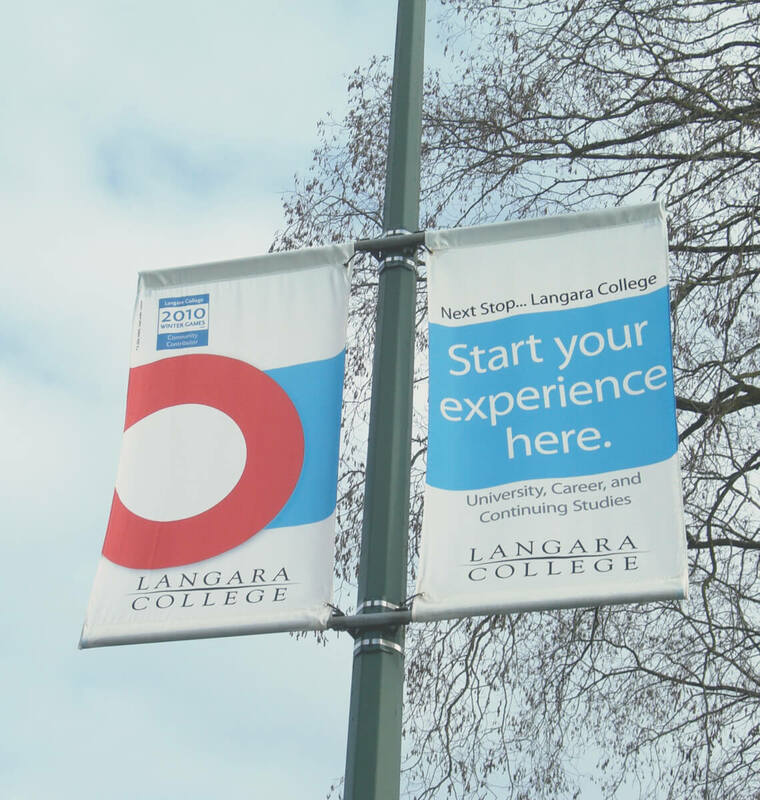 I worked at Langara College’s Communication and Marketing department for over 3 years. 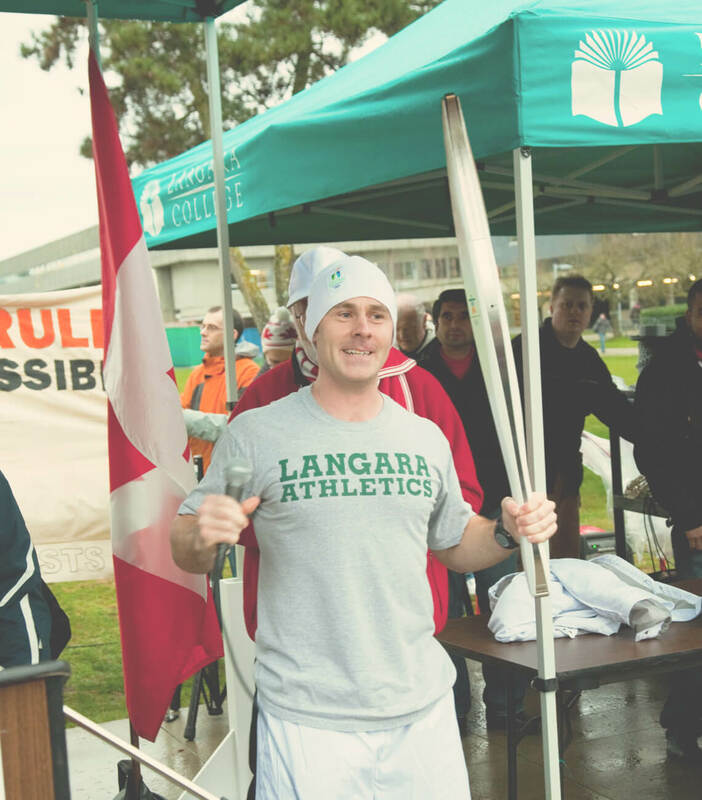 Langara College became a Vancouver 2010 Community Contributor Program participant as news broke of the torch relay route. This was a great opportunity for Langara College to support its student athlete and to showcase the college under a media and community spotlight. I was tasked with creating marketing material around Evan Eichler’s once in a lifetime opportunity. I began by working on street signage that would go up along the 49th Avenue route. 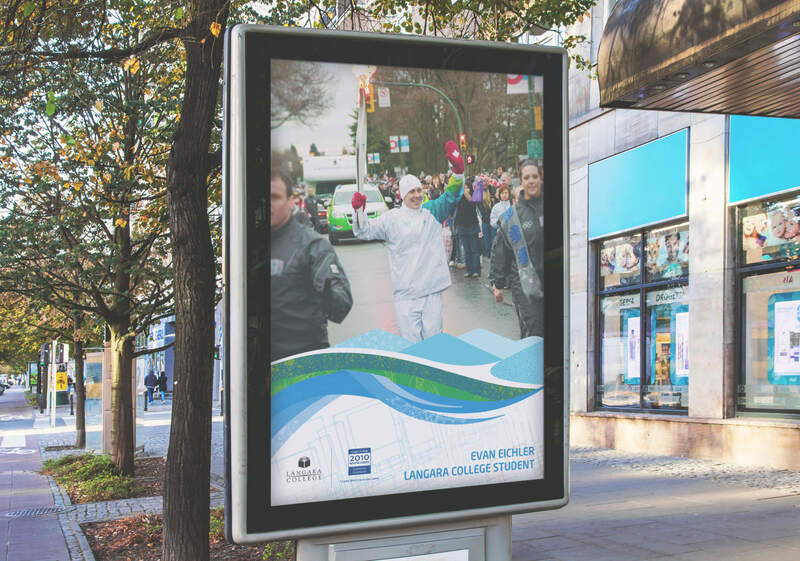 Since Langara College is minutes away from public transportation, we focused on nearby bus stop locations to display the advertisements. 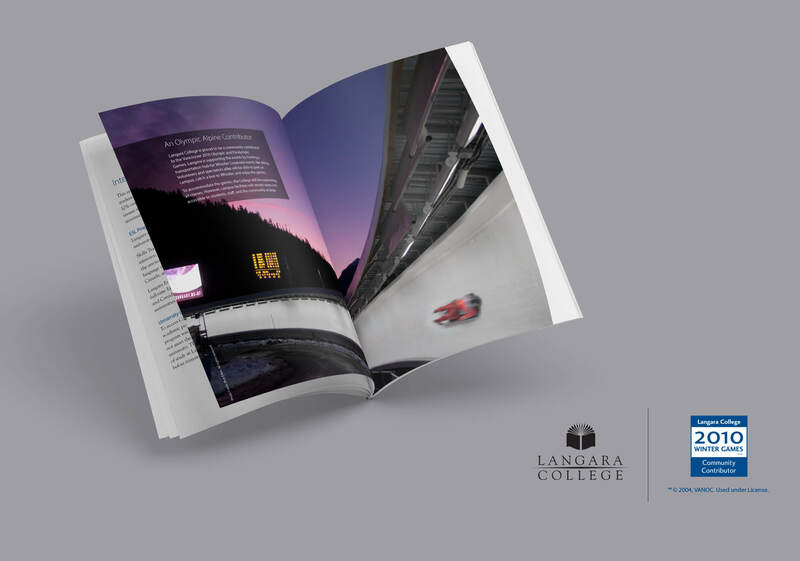 Leading up to the games, Langara started releasing school publications with Olympics-centric art and messaging. I created publications and magazine spreads highlighting our partnership as a Community Contributor. It was amazing to see the Langara students and educational community rally together to celebrate a monumental event. This helped Langara College stay in the media and press for months; giving us exposure other local post secondary schools did not get. To my delight, I even had an opportunity to hold the Olympic Torch!